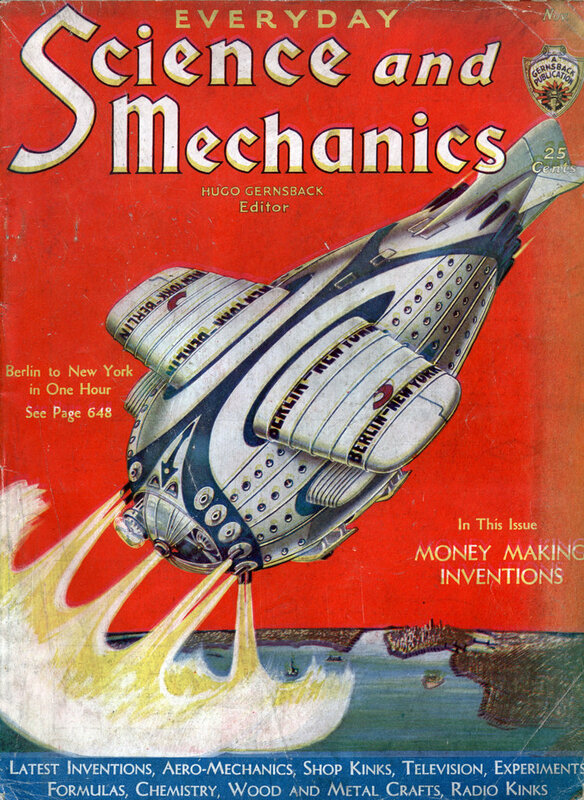 Ah, racier days. The caption doesn’t say she’s “holding it”, no, she’s “fondling it”. Think of the Light Bill! EVEN at reduced rates for household electricity, Mr. U. 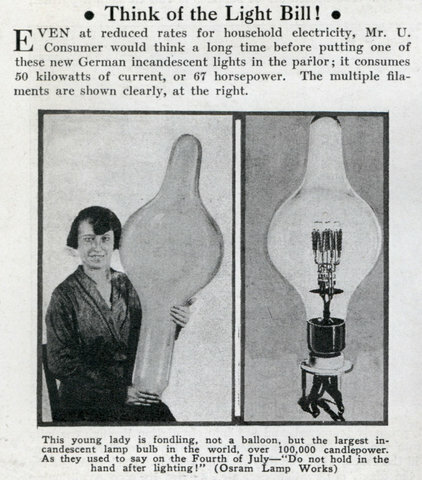 Consumer would think a long time before putting one of these new German incandescent lights in the parlor; it consumes 50 kilowatts of current, or 67 horsepower. The multiple filaments are shown clearly, at the right. 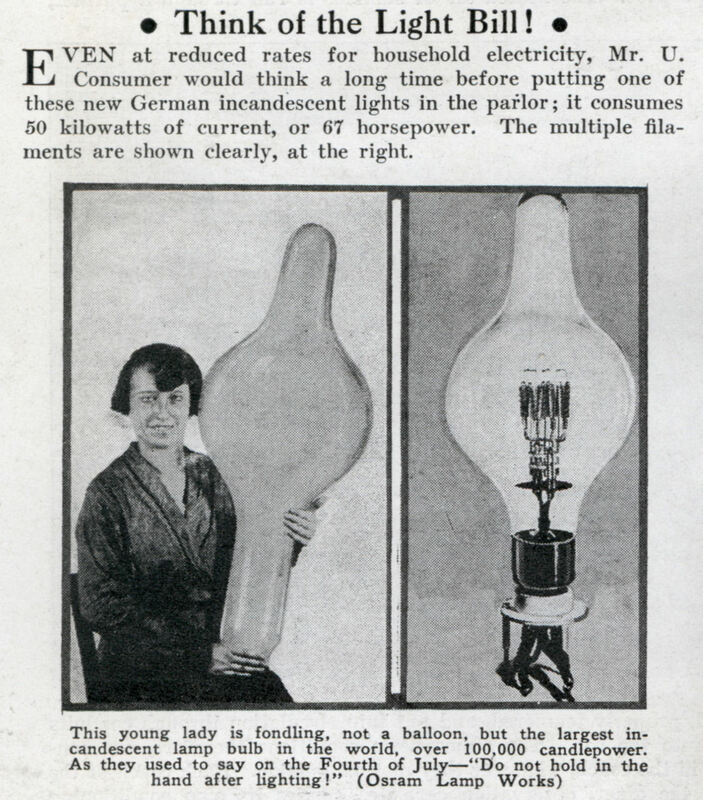 If i were a light bulb I would find this arousing.